The Regional Manager’s Office TAN ROADS – Kigoma, on behalf of the Chief Executive , TAN ROADS, intends to recruit suitable qualified and competent Tanzanians to fill the following various vacancies in the Region on contract terms [Renewable subject to satisfactory performance] in order to improve effectiveness and efficiency in road Maintenance and axle load control operations in the Region. 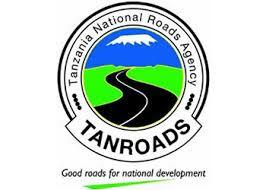 TANROADS is a Semi – Autonomous Agency responsible for maintenance and development of Trunk and Regional Roads Network in Tanzania Mainland, implementation of roads safety and environmental measures, provision of advice on the strategic framework, policies and plans for the road sector. It is also mandated with a responsibility of conducting Axle Load Control Operation using Weighbridge. Successful applicants must be ready to work on assigned office work accordingly. Only successful applicants will be notified to attend the interview. Applicant who previously works on weighbridge should not apply for these Vacancies. 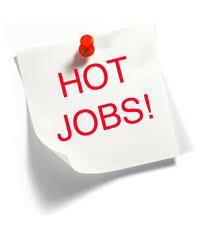 -Must be fluent in both written and spoken Kiswahili and English languages. -Not, above 35 years of age. -Enforcing Road Traffic Axle Control by use of weighbridge scale devices. -Collecting and banking all weigh bridge charges [fees] according to weighbridge report form. -Seeking current USD exchange rate issued by Bank of Tanzanian for case of imposing charges that are equivalent to Tanzanian Shilling. -Observing good customer care dignity and Integrity. -Reporting all matters to the shift in charge. -Performing other duties as may be assigned from time to time by the Head of Accounts and Administration /Regional Manager. 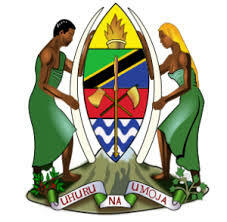 All interested qualification Tanzanians applicants are invited to apply and submit their application letters to the under-mentioned address not later than 31st December, 2013. Copies of certificates, and their contract addresses, telephone number [s], and postal address. 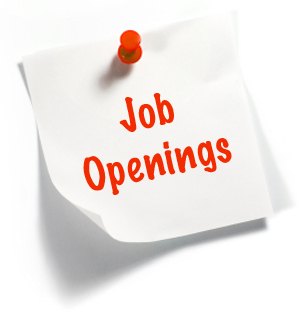 -Must be fluent in written and spoken Kiswahili and English languages. -Not above 35 years of age. -Shunting the documents from the weighbridge to main Office TAN ROADS when needed. -Keeping clean office environment and all Office surrounding. -Ensure that all Office equipment is maintained in good order. -Perform such other related duties as may be assigned by weighbridge in charge. -Must be a Tanzanian citizen. -Making sure that vehicle used in weighbridge is well maintained. -Receiving order from your supervisors just in case of any ambush which is supposed to be done. -Making sure that the vehicle used in weighbridge is fuelled all the time. -Receiving the order from your supervisors. -Driving agency light vehicles in urban and remote areas. -Maintaining the vehicle logbook and all accident records pertaining to the assigned vehicle. -Keeping the vehicle in good working order and in clean condition. -Reporting repairs or maintenance needs of the vehicle to the shift in charge timely. -Perform such other related duties as may be assigned by the shift in charge. -Holder of full Technician Certificate in Civil Mechanical or Electrical Engineering (FTC), (Higher qualification will be advantageous). -Enforcing road Traffic Axle Load Control by use of weighbridge scale Devices. -Weighing motor vehicles gross vehicle weight [GVW] > 3.500kg plying on our public roads. -Imposing road damage fee on the spot for overloaded motor vehicles. -Recording all necessary particulars regarding the motor vehicle being weighed. -Observing good customer care, dignity and integrity. -Performing other duties as may be assigned from time to time by the shift in charge/Regional Manager. -Not above 35 years of ages. -Reporting all maters concern with weighbridge and reporting to Regional Manager. -Preparing the monthly report for the good records of the operations and Reporting to Regional Manger. -Preparation of the circular of the shifts for weigh bridge operators and other staff. Only the short – listed candidates will be contracted. TANROADS is a Semi – Autonomous Agency responsible for maintenance and develOQ1l1ent of Trunk and Regional Roads Network in Tanzania Mainland, implementation of roads safety and environmental measures, provision of advice on the strategic framework, policies and plans for the road sector. It is also mandated with a responsibility of conducting Axle Load Control Operation using Weighbridge. -Inspects and reports on all designated roads monthly or at more frequent Intervals if required. -Undertaking Routine/Recurrent, Periodic and Emergency maintenance work as directed by Engineer. -Supervises Bridge maintenance works as directed by Engineer. -Measures and certifies for payment contract works. -Certifies worksheets, delivery notes and similar documentation as directed by Engineer. -Prepares reports for the Engineer as required. -Carries out In situ testing and takes site samples. -Undertakes all Regional laboratory tests. -Records and Reports on all test results. -Monitors test result trends and reports to the Maintenance Engineer on Issues concern. -Ensures that all laboratory apparatus and equipment is maintained in good Order and is calibrated as and when necessary. -Manages the Regional laboratory stores. -Monitor laboratory expenditures and ensures that invoices are raised promptly for customer services. -Works for and follows up opportunities to widen the public and private Sector customer base. -Prepares regular and ad hoc reports as required. -Perform such other related duties as may be assigned by Engineer from Time to time. Only the short – listed candidates will be contracted and. Posted in NAFASI ZA KAZI. Sekretariati ya Ajira katika Utumishi wa Umma ni chombo ambacho kimeundwa kwa mujibu wa Sheria ya Utumishi wa Umma Na. 8 ya mwaka 2002 kama ilivyorekebishwa na Sheria Na. 18 ya mwaka 2007 kifungu 29(1). Kwa mujibu wa Sheria hiyo, chombo hiki, pamoja na kazi zingine kimepewa jukumu la kutangaza nafasi wazi za kazi zinazotokea katika Utumishi wa Umma kwa niaba ya Waajiri (Taasisi za Umma). Katibu Mkuu Ofisi ya Waziri Mkuu, Katibu Mkuu Wizara ya Fedha, Katibu Mkuu wizara ya Mambo ya Nje ya Nchi na Ushirikiano wa Kimataifa, Afisa Mtendaji Mkuu Wakala wa Vipimo, Katibu Mkuu Wizara ya Mambo ya Ndani ya Nchi, Katibu Mkuu Wizara ya Maendeleo Jinsia na Watoto, Katibu Mkuu Wizara ya Kazi na Ajira, Katibu Mkuu Wizara ya mifugo na Uvuvi, Katibu Mkuu Wizara ya Kilimo Chakula na Ushirika, Katibu Mkuu Wizara ya Viwanda na Biashara, Katibu Mkuu Wizara ya Sayansi na Technolojia, Katibu Mkuu Wizara ya Nishati na Madini, Katibu Mkuu Wizara ya Elimu na Mafunzo ya Ufundi, Katibu Mkuu Wizara ya Ardhi Nyumba na Makazi, Katibu Mkuu Wizara ya Maji, Katibu Ofisi ya Rais Maadili, Katibu Tawala Mkoa Kagera, Iringa, Ruvuma, Mbeya, Mwanza, Shinyanga, Manyara, Dar es Salaam, Morogoro, Geita, Pwani, Mara, Kilimanjaro, Lindi, Singida, Tabora, Tanga, Katavi na Arusha,Mkurugenzi Halmashauri ya Jiji la Mwanza, Mkurugenzi Halmashauri Manispaa Iringa, Songea, Shinyanga,Morogoro, Singida, Kigoma/Ujiji na Temeke, Mkurugenzi Halmashauri ya Wilaya Mufindi, Kyera, Rungwe, Mbeya, Chunya, Biharamulo, Bukoba, Muleba, Namtumbo, Songea, Morogoro, Makete, Mkuranga, Mbinga, Tunduru, Ukerewe, Sengerema, Ilemela, Busega, Maswa, Meatu, Shinyanga, Kishapu, Kilosa, Msalala, Rufiji, Rorya, Ruangwa, Lushoto, Mkinga, Mpanda, Monduli, Ngorongoro,Kigoma, Nachingwea, Rombo, Same, Singida, Urambo, Tabora, Babati, Mbulu, Simanjiro, Kiteto, Handeni, Pangani, Kibondo, Chamwino, Mtwara, Nanyumbu, Mpwapwa, Kongwa na Tandahimba. Mkurugenzi Halmashauri ya Mji Njombe, Kibaha, Baraza la Kiswahili la Taifa (BAKITA) na TEMESA. Nafasi hizi ni kwa ajili ya Katibu Mkuu Wizara ya Nishati na Madini, Katibu Mkuu Wizara ya Ardhi, Nyumba na Maendeleo ya Makazi, Katibu Mkuu wizara ya Kilimo na Chakula, Katibu Tawala Mkoa wa Geita, Mkurugenzi Halmashauri za Wilaya za Mufindi, Meatu, Rorya, Mbulu na Mtwara na Mkurugenzi Halmashauri ya Mji Kibaha. · Kuweka kumbukumbu za taratibu za kisasa na mbinu za kufanyia kazi. · Kutekeleza chati za mtiririko wa mifumo ya nyendo za taarifa na uthibiti unaohusu Kompyuta. · Kutoa msaada wa kiufundi kwa Wizara/Idara/Vituo mbalimbali vya kazi. Kuajiriwa wenye Shahada/Stashahada ya Juu katika masomo ya Sayansi ya Kompyuta kutoka kwenye Taasisi/Chuo kinachotambuliwa na Serikali. · Kwa kuzingatia Ngazi za mishahara ya Serikali yaani TGS D.
· Chuo kinachotambuliwa na Serikali. · Kuajiriwa wenye Stashahada ya juu katika fani ya “Legal Metrology” /Legal and “Industrial Metrology” toka Chuo kinachotambuliwa na Serikali. Kwa kuzingatia Ngazi za mishahara ya Serikali yaani PTSS 13 -14 kwa mwezi. Nafasi hizi ni kwa ajili ya Katibu Mkuu Wizara ya Nishati na Madini, Katibu Mkuu Wizara ya Ardhi Nyumba na Makazi, Katibu Tawala Mkoa wa Iringa, Geita, Tabora, Kigoma na Mara, Mkurugenzi Halmashauri ya Jiji la Mwanza, Mkurugenzi Halmashauri ya Manispaa ya Iringa, Songea na Singida, Mkurugenzi Halmashauri ya Wilaya ya Mufindi, Songea, Tunduru, Busega, Shinyanga, Kishapu, Morogoro, Nachingwea, Rombo, Kongwa, Mkinga, Nanyumbu na Rorya. – Kuingiza taarifa za Upimaji (alpha numeric data) kwenye kompyuta. – Kukagua kazi za upimaji na kuingiza taarifa za kazi zilizothibitishwa kwenye komputa. – Kutunza kumbukumbu za picha za anga. -Kusimamia na kuchukua vipimo vya tide gauges. – Kufanya kazi za nje ya Ofisi (field survey operations) chini ya usimamizi wa mpima aliyesajiliwa. · Kuajiriwa wenye cheti cha East African Land Survey (EALSC) au National Council of Professional Surveyors Certificate (NCPSC) katika fani ya upimaji ardhi. · Kwa kuzingatia ngazi za mishahara ya Serikali TGS E kwa mwezi. Nafasi hizi ni kwa ajili ya Mkurugenzi Halmashauri ya Wilaya ya Kyela, Msalala na Pangani, Mkurugenzi ya Manispaa ya Singida na Morogoro na TEMESA. · Kufanya kazi chini ya uangalizi wa Mhandisi aliyesajiliwa na bodi ya Usajili wa Wahandisi kama “Professional Enginner” ili kupata uzoefu unaotakiwa. · Kupitia mapendekezo ya miradi (project proposal) mbalimbali ya ufundi na umeme yanayowasilishwa. · Kuajiriwa wenye Shahada/Stashahada ya Juu ya Uhandisi kutoka Vyuo Vikuu vinavyotambuliwa na Serikali katika fani ya Uhandisi Ufundi na Umeme. · Kwa kuzingatia Ngazi za mishahara ya Serikali yaani TGS E kwa mwezi. Nafasi hizi ni kwa ajili ya Katibu Tawala Mkoa wa Geita, Tabora na Katavi, Mkurugenzi Halmashauri Manispaa ya Singinda, Mkurugenzi Halmashauri ya Wilaya ya Kyela, Tunduru, Kishapu, Rorya, Nachingwea, Urambo, Mbulu na Kigoma. · Kuandaa mipango ya maeneo yaliyoendelezwa kiholela. · Kuandaa michoro ya Mipangomiji. · Kupokea michoro ya Mipangomiji na taarifa za maeneo ya ardhi yanayopendekezwa kuiva kwa ajili ya uendelezaji kimji. · Kuchambua takwimu na taarifa kwa ajili ya maandalizi ya mipango mipya ya makazi. · Kupokea na kuweka kumbukumbu za maombi ya mabadiliko ya matumizi ya ardhi na umegaji wa viwanja. · Kuhakikisha kuwa mabadiliko ya matumizi ya ardhi yanaingizwa katika michoro. Kuajiriwa mwenye Stashahada ya juu/Shahada katika fani ya Mipangomiji kutoka Chuo Kikuu cha Ardhi au Vyuo Vikuu au Taasisi nyingine zinazotambuliwa na Serikali. Kwa kuzingatia Ngazi za mishahara ya Serikali yaani TGS E kwa mwezi. Nafasi hizi ni kwa ajili ya Katibu Mkuu Wizara ya Viwanda na Biashara, Katibu Mkuu Wizara ya Elimu na Mafunzo ya Ufundi, Katibu Mkuu Wizara ya Maji, Mkurugenzi Halmashauri ya Wilaya za Kyela, Mbulu na Ilemela, Mkurugenzi Halmashauri ya manispaa ya Singida. · Atafanya kazi chini ya uangalizi wa Mhandisi aliyesajiliwa (Professional engineer) na bodi ya usajili ya Wahandisi ili kupata uzoefu unaotakiwa. · Kuajiriwa wenye Shahada/Stashahada ya Juu ya Uhandisi kutoka Vyuo Vikuu vinavyotambuliwa na Serikali katika fani ya Uhandisi Ujenzi. Nafasi hizi ni kwa ajili ya Katibu Mkuu Wizara ya Maji, Katibu Tawala Mkoa wa Shinyanga na Geita, Mkurugenzi Halmashauri ya manispaa ya Temeke, Mkurugenzi Halmashauri ya Wilaya za Rungwe, Busega na Chamwino. · Ujenzi na Usimamizi wa Vituo vya Hali ya Hewa, Vituo vya Upimaji wingi wa Maji mitoni (Discharge Measurements) na Uchukuaji wa sampuli za mchanga unaosafirishwa kwenye mito (sedment sampling) na kuzitafsiri. · Ukusanyaji wa takwimu kwenye vituo vya hali ya hewa na upimaji wa wingi wa maji mitoni na kuzitafsri takwimu hizo. · Kuandaa na kutayarisha Taarifa ya robo, nusu na mwaka mzima katika sehemu ya Haidrologia. · Kuajiriwa mwenye Shahada ya Uhandisi wa Rasilimali za Maji kutoka vyuo vikuu vinavyotambuliwa na Serikali. Wawe na ujuzi wa kutumia kompyuta. Nafasi hizi ni kwa ajili ya Katibu Tawala Mkoa wa Katavi, Mkurugenzi Halmashauri ya Wilaya za Muleba,Tunduru, Sengerema na Ilemela. · Kusimamia upandaji na uhudumiaji wa miti na misitu. · Kusimamia uendelezaji wa misitu ya kupandwa isiyozidi hekta 5,000 au ya asili isiyozidi hekta 10,000. · Kufanya utafiti wa misitu. · Kutekeleza Sera na Sheria za misitu. · Kuendesha mafunzo ya Wasaidizi Misitu. · Kukusanya takwimu za misitu. · Kufanya ukaguzi wa misitu. · Kupanga na kupima madaraja ya mbao. · Kudhibiti leseni na uvunaji wa miti. · Kutoa ushauri na mafunzo kwa wananchi juu ya uendelezaji na matumizi endelevu ya miti na misitu kwa wananchi. · Kufanya ukadiriaji wa rasilimali za misitu. · Kupima maeneo na kuchora ramani za misitu. · Kuajiriwa wenye Shahada ya Misitu kutoka chuo Kikuu cha kilimo cha Sokoine au Vyuo Vikuu vingine vinavyotambuliwa na Serikali. Kwa kuzingatia viwango vya Serikali yaani ngazi ya Mshahara TGS.D kwa mwezi. Nafasi hizi ni kwa ajili ya Katibu Tawala Mkoa wa Ruvuma na Katavi na Mkurugenzi Halmashauri ya Wilaya ya Makete. · Kutoa ushauri na kufanya utafiti wa kisheria pale anapohitajika kulingana na Wizara, Idara ya Serikali ama sehemu aliko. · Kufanya mawasiliano na ofisi nyingine kuhusu masuala ya kisheria kwa maelekezo ya Maafisa wa Sheria walio katika ngazi za juu. · Kuajiriwa wenye shahada ya kwanza ya Sheria kutoka vyuo vinavyotambuliwa na Serikali na waliomaliza mafunzo ya uwakili yanayotambuliwa na Ofisi ya Mwanasheria Mkuu wa Serikali. Nafasi hizi ni kwa ajili ya Katibu Tawala Mkoa wa Geita, Shinyanga na Mwanza, Mkurugenzi Halmashauri ya Wilaya ya Tabora, Busega na Tunduru. · Kukusanya, Kuchambua na kuwasilisha takwimu ngazi za juu. · Kuajiriwa wenye shahada ya kwanza katika fani ya Takwimu au Hisabati au sifa zinazolingana na hizo kutoka Chuo Kikuu kinachotambuliwa na Serikali na wenye ujuzi wa kutumia Kompyuta. Kwa kuzingatia Ngazi za mishahara ya Serikali yaani TGS D kwa mwezi. Nafasi hizi ni kwa ajili ya Mkurugenzi Halmashauri ya Wilaya ya Babati, Nachingwea, Sengerema na Tunduru. · Kukusanya taarifa za utafiti na mwenendo wa soko la ardhi. · Kuajiriwa wenye cheti cha NCPS katika fani ya Usimamizi Ardhi na Uthamini. Kwa kuzingatia ngazi za mishahara ya Serikali TGS E kwa mwezi. Nafasi hizi ni kwa ajili ya Katibu Mkuu Wizara ya Elimu na Mafunzo ya Ufundi, Mkurugenzi Halmashauri ya Wilaya ya Ilemela, Urambo na Sengerema. · Kuandaa ratiba ya kazi, gharama za ujenzi (BOQ) na Hati za mikataba. · Kuanda makisio ya gharama za miradi ya Ujenzi. · Kuandaa taarifa za uthamini wa miradi ya ujenzi. · Kwa kushirikiana na Mkadiriaji ujenzi kuandaa taarifa fupi za ujenzi wa miradi. · Kushughulikia masuala yote ya utawala wa fedha za miradi, kuandaa hati / vibali maalumu vya ujenzi na mikataba. · Kufanya kazi zingine atakazopangiwa na mkuu wake wa kazi. · Awe na Shahada /Stashahada ya juu ya Uhandisi kutoka vyuo Vikuu vinavyotambuliwa na Serikali katika fani ya Ukadiriaji Ujenzi (quantity Surveryor). Nafasi hii ni kwa ajili ya Mkurugenzi Halmashauri ya Wilaya ya Ilemela. · Kusimamia uanzishaji wa hifadhi za nyuki na manzuki. · Kutangaza Sera na Sheria za ufugaji nyuki. · Kufundisha masomo ya fani ya ufugaji nyuki. · Kukusanya takwimu za rasilimali na ufugaji nyuki. · Kupanga na kupima ubora wa mazao ya nyuki. · Kuajiriwa wenye Shahada katika fani ya Ufugaji Nyuki au Sayansi ya Elimu ya Mimea, Elimu ya Wadudu au Elimu ya Wanyama kutoka Chuo Kikuu cha Dar es Salaam au Vyuo vingine vinavyotambuliwa na Serikali. Nafasi hizi ni kwa ajili ya Katibu Mkuu Wizara ya Nishati na Madini na Katibu Tawala Mkoa wa Geita na Tanga. · Kufanya kazi chini ya uangalizi wa mhandisi aliyesajiliwa na bodi ya Usajili wa Wahandisi kama “Professional Engineer” ili kupata uzoefu unaotakiwa. · Kufanya kazi kwa vitendo katika fanii zinazomhusu ili kumwezesha Mhandisi kupata sifa za kutosha kusajiliwa na Bodi ya Usajili wa Wahandisi. · Kufuatilia taarifa za upatikanaji, uzalishaji, ugavi na matumizi ya nishati. · Kukusanya taarifa na takwimu kuhusu miradi mbalimbali kuhusu bei za nishati ndani na nje ya nchi. · Kupitia mapendekezo ya miradi project proposals mbalimbali ya nishati yanayowasilishwa Wizarani. · Kuhakiki maombi ya wawekezaji na mkandarasi kuhusu vivutio vya uwekezaji. Nafasi hizi ni kwa ajili ya Mkurugenzi Halmashauri ya Jiji la Mwanza, Mkurugenzi Halmashauri ya Wilaya ya Kigoma na Mkurugenzi Halmashauri ya Manispaa ya Singida. · Kupitia mapendekezo ya miradi (Project Proposals) mbalimbali ya majengo yanayowasilishwa. Kwa kuzingatia viwango vya mishahara vya Serikali yaani TGS E.
Nafasi hizi ni kwa kwa ajili ya Katibu Mkuu Wizara ya Nishati na Madini. · Anaweza kuongoza timu ya mafundi sanifu wanapokuwa katika shughuli za utafutaji wa madini au petroli. Nafasi hizi ni kwa kwa ajili ya Mkurugenzi wa Halmashauri ya Jiji la Mwanza, Mkurugenzi wa Halmashauri ya Manispaa ya Singida na Morogoro, Mkurugerugenzi wa Halmashauri ya Wilaya ya Monduli, Mpanda, Mbulu, Meatu, Ilemela, Sengerema, Tunduru, Bukoba Ngorongoro na Kyela na Mkurugenzi Halmashauri ya Mji Njombe. · Kuwapangia kazi Mafundi sanifu wasaidizi na kuhakikisha wanamaliza kama ilivyopangwa. · Waliohitimu kidato cha VI na kufuzu mafunzo ya ufundi ya miaka miwili kutoka Chuo kinachotambuliwa na Serikali katika moja ya fani za ufundi. · Wenye Stashahada ya Kawaida katika fani za ufundi kutoka Chuo kinachotambuliwa na Serikali. Nafasi hizi ni kwa kwa ajili ya Katibu Mkuu Wizara ya Mifugo na Uvuvi, Mkurugenzi Halmashauri ya Wilaya Tunduru, Nachingwea, Pangani na Same, Mkurugenzi Halmashauri ya Mji Njombe. · Kutengeneza, Kushona, Kutunza na Kukarabati zana za uvuvi. · Kutunza na kuangalia mabwawa ya samaki. · Kutega mitego Ziwani au Baharini. · Kutengeneza nyavu ndogo ndogo. · Kuwapa chakula samaki katika mabwawa. · Kuvua samaki katika mabwawa. · Kutoa ushauri kwa wavuvi kuhusu mbinu mbalimbali za uvuvi. · Kukusanya takwimu za uvuvi kutoka kwenye vituo vya kupokelea samaki. · Kutoa ushauri juu ya uhifadhi wa samaki na mbinu za usambazaji na uuzaji wa mazao yatokanayo na samaki. · Kuwaelimisha wananchi juu ya ufugaji wa samaki na mambo muhimu ya kuzingatia. · Kuajiriwa wahitimu wa kidato cha nne au cha sita wenye stashahada (Diploma) ya Uvuvi au Uhifadhi wa Samaki na Masoko (Fish Processing & Marketing) kutoka vyuo vya uvuvi vya Mbegani, Kunduchi au vyuo vingine vinavyotambuliwa na Serikali. Nafasi hizi ni kwa kwa ajili ya Katibu Mkuu Wizara ya Kilimo, Chakula na Ushirika, Katibu Mkuu Wizara ya Maji, Mkurugenzi Halmashauri ya Wilaya Rugwe na Busega na Halmashauri ya Manispaa ya Temeke. · Kazi nyingine atakazopangiwa na mkuu wake wa kazi. · Kuajiriwa wahitimu wa kidato cha VI waliohudhuria na kufaulu mafunzo ya mwaka mmoja kutoka kutoka Chuo cha Maji au Chuo chochote kinachotambuliwa na Serikali ambao wana cheti cha ufundi Daraja la III katika fani ya maji. Kwa kuzingatia Ngazi za mishahara ya Serikali yaani TGS A kwa mwezi. Nafasi hizi ni kwa ajili ya Katibu Mkuu Wizara ya Mifugo na Uvuvi na Mkurugenzi Halmashauri ya Wilaya ya Chunya. · Kubuni na kuunda zana za kuvulia samaki (Fishing Gears). · Kutunza na kutengeneza zana za kuvulia samaki. · Kuongoza na kuendesha meli/boti ndogo za futi 40 zenye uzito wa kuandikishwa wa tani 50-200 (GRT). · Kuendesha shughuli za uvuvi katika meli/boti. · Kuajiriwa wahitimu wa kidato cha sita (VI) wenye Stashahada (Diploma) ya Unahodha na Uvuvi (Master Fisherman) kutoka Chuo cha Uvuvi Mbegani au vyuo vingine vinavyotambuliwa na Serikali. · Kwa kuzingatia viwango vya Serikali yaani ngazi ya Mshahara TGS.C kwa mwezi. · Utengenezaji visima vya rekoda, stendi za winchi, sinia za maji ‘cable way post” n.k. · Kuajiriwa Wahitimu wa vyuo vya ufundi vinavyotambuliwa na Serikali ambao wana cheti cha ufundi ( FTC) au Stashahada ya Rasilimali za Maji na wenye ujuzi wa kutumia kompyuta. Nafasi hizi ni kwaajili ya Katibu Mkuu Wizara ya Maji, Katibu Tawala Mkoa wa Mwanza na Geita, Mkurugenzi Halmashauri ya Manispaa ya Songea. · Kuhifadhi taarifa za kikazi (Field Data) zipatikanazo wakati wa utafiti wa maji chini ya ardhi. · Kuajiriwa Wahitimu wa vyuo vya ufundi vinavyotambuliwa na Serikali ambao wana cheti cha ufundi ( FTC) au Stashahada ya Kawaida ya Rasilimali za Maji na wenye ujuzi wa kutumia kompyuta. Kwa kuzingatia Ngazi za mishahara ya Serikali yaani TGS C kwa mwezi. Nafasi hizi ni kwaajili ya Mkurugenzi Halmashauri Wilaya ya Tunduru, Busega, Meatu, Urambo na Chamwino. · Kuhudumia na kutunza bustani za miti. · Kutunza na kuhudumia miti na misitu. · Kusimamia ukusanyaji mbegu na bustani za miti. · Kusimamia kazi za upandaji, utunzaji na uvunaji wa miti/misitu. · Kupima mazao ya misitu. · Kuajiriwa wahitimu wa Kidato cha Nne au Sita wenye Astashahada (Cheti) au Stashahada (Diploma) ya Misitu kutoka Vyuo vinavyotambuliwa na Serikali. Nafasi hizi ni kwa ajili ya Mkurugenzi Halmashauri ya Wilaya Ilemela, Busega, Kishapu, Morogoro na Nachingwea. Nafasi hizi ni kwaajili ya Mkurugenzi wa Manispaa ya Singida na Mkurugenzi Halmashuri ya Wilaya ya Ilemela. · Kuandaa taarifa ya mwezi, robo mwaka, nusu mwaka na mwaka mzima kuhusu shughuli zote za ujenzi, ufundi na teknolojia. · Wenye Stashahada ya Kawaida katika fani za ufundi sanifu maendeleo ya jamii kutika Chuo kinachotambuliwa na Serikali. · Kuendesha mitambo chini ya usimamizi wa Dereva Mitambo mwenye uzoefu. · Kuajiriwa wenye cheti cha Kidato cha IV ambao wana leseni Daraja la “G” ya kuendesha mitambo na ujuzi wa kutunza vyombo mbalimbali vya mitambo hiyo, wenye uzoefu wa kuendesha mitambo kwa muda usiopungua saa mia tatu (300) au miezi mitatu (3) bila kusababisha ajali. Nafasi hizi ni Kwaajili ya Katibu Mkuu Ofisi ya Waziri Mkuu na Katibu Mkuu Wizara ya Elimu. · Kukunja karatasi ngumu na kutengeneza ‘covers’ za vitabu, majarida, madaftari katika mahitaji mbalimbali kwa kugandisha, kuweka pamoja au kushona katika hali mbalimbali za ubora. · Kukarabati vitabu, kumbukumbu mbalimbali au majarida kwa kuyawekea gamba jipya, au kurudisha katika hali yake ya mwanzo kutegemea na kifaa hicho kilivyoharibika. · Kupanga vifaa vilivyotengenezwa katika makasha kwa vipimo vyake au katika seti. · Kuendesha mashine za kukata karatasi/kupiga Chapa/Mashine za Composing, kushona au kugandisha vitabu, majarida, madaftari na vifaa vingine vinavyokuwa vimetakiwa kwa mtindo na ubora wake. · Kupanga karatasi zitakazochapwa kwa hesabu ya kila kitabu, jarida, daftari na vinginevyo kwa kushonwa au kugandishwa pamoja. · Kuajiriwa wahitimu wa Kidato cha IV au VI katika masomo ya Sayansi, au Sanaa, wenye Cheti cha Majaribio ya Ufundi Daraja la I (Trade Test Grade I) katika Lithography/Composing/Binding/Machine Minding, au waliohitimu mafunzo ya miaka miwili ya Kupiga Chapa. Nafasi hizi ni Kwa ajili ya Katibu Mkuu Wizara ya Ardhi Nyumba na Makazi na Katibu Mkuu Wizara ya Elimu na Mafunzo ya Ufundi. · Kutunza kumbukumbu za shughuli za kila siku. · Kugundua na kusahihisha makosa yanayotokea katika data. · Kufanya kazi za Kompyuta. · Kuchapa orodha ya makosa. · Kufanya programu ya matumizi. · Kuchapa taarifa za mwisho. · Kufanya kazi chini ya usimamizi wa Opereta wa Kompyuta Daraja la II. · Kuajiriwa wenye cheti cha masomo ya Kompyuta (Certificate in Computer Science in Information Technology) kutoka kwenye Taasisi/Chuo kinachotambuliwa na Serikali. · Kwa kuzingatia viwango vya Serikali yaani ngazi ya Mshahara TGS.B kwa mwezi. Nafasi hizi ni kwaajili ya Katibu Mkuu Wizara ya Nishati na Madini. · Wenye Stashahada ya Kawaida katika fani za ufundi kutika Chuo kinachotambuliwa na Serikali. Nafasi hii ni kwaajili ya Mkurugenzi Halmashauri ya Manispaa ya Temeke. · Kufanya kazi zingine kama atakavyopata maelekezo ya utendaji kutoka ngazi za juu za uongozi wa Polisi na Halmashauri. · Kuajiriwa wahitimu wa Kidato cha Nne waliofuzu mafunzo ya mgambo/polisi/JKT au Mafunzo ya Zimamoto kutoka katika chuo kinachotambuliwa na Serikali. · Kwa kuzingatia viwango vya Serikali yaani ngazi ya Mshahara TPSW 1 kwa mwezi. Nafasi hii ni Kwaajili ya Katibu Mkuu Wizara ya Ardhi Nyumba na Makazi. · Kupokea wageni na kuwasaili shida zao. · Kutunza rejesta ya wageni wa ofisi na kufanya uchambuzi wa wageni wanaoingia ili kutoa ushauri juu ya utaratibu bora wa kupokea wageni. · Kupokea na kusambaza maombi ya simu za ndani. · Kutunza na kudumisha usafi wa “Switchboard” na ofisi zake. · Kuwaelekeza wageni wa ofisi kwa maafisa/ofisi watakakopewa huduma. · Kuhakikisha kwamba wageni wanaoingia ndani wanamiadi (Appointment) au wamepata idhni ya maafisa husika. · Kupokea simu kutoka nje na kuzisambaza kwa maofisa mbalimbali ofisini. · Kupokea simu kutoka “Extension” za ndani na kupiga nje ya ofisi. · Kutunza rejesta ya simu zinazopokelewa kutoka nje ya ofisi na zinazopigwa kwenda nje. · Kuajiriwa wahitimu wa Kidato cha IV waliofaulu masomo ya Kiingereza, Kiswahili na Hisabati na kufuzu mafunzo ya Mapokezi na Upokeaji Simu kutoka vyuo vinavyotambuliwa na Serikali. Nafasi hizi ni kwaajili ya Mkurugenzi Halmashauri ya Wilaya ya Handeni na Pangani. · Kuchapa barua, taarifa na nyaraka za kawaida. · Kusaidia kupokea wageni na kuwasaili shida zao, na kuwaelekeza sehemu wanapoweza kushughulikiwa. · Kusaidia kutunza taarifa/kumbukumbu za matukio, miadi, wageni, tarehe za vikao, safari za Mkuu wake na ratiba ya kazi zingine zilizopangwa wakati unaohitajika. · Kusaidia kutafuta na kumpatia Mkuu wake majadala, nyaraka au kitu chochote kinachohitajika katika shughuli za kazi hapo ofisini. · Kusaidia kufikisha maelekezo ya Mkuu wake wa kazi kwa wasaidizi wake na pia kumuarifu kuhusu taarifa zozote anazokuwa amepewa na wasaidizi hao. · Kusaidia kupokea majalada, kuyagawa kwa Maofisa walio katika sehemu alipo, na kuyakusanya, kuyatunza na kuyarudisha sehemu zinazohusika. · Kutekeleza kazi zozote atakazokuwa amepangiwa na Msimamizi wake wa kazi. · Kuajiriwa wahitimu wa kidato cha IV waliohudhuria Mafunzo ya Uhazili na kufaulu mtihani wa Hatua ya Tatu. Wawe wamefaulu somo la Hatimkato ya Kiswahili na Kiingereza maneno 80 kwa dakika moja na wawe wamepata mafunzo ya Kompyuta kutoka chuo chochote kinachotambuliwa na Serikali na kupata cheti katika programu za Window, Microstoft Office, Internet, E-mail na Publisher. · Kwa kuzingatia Ngazi za mishahara ya Serikali yaani TGS B kwa mwezi. Nafasi hizi ni kwaajili ya katibu Mkuu Wizara ya Fedha,Katibu Mkuu Wizara ya Maendeleo ya Jamii Jinsia na Watoto, katibu Mkuu Wizara ya Nishati na Madini, Katibu Mkuu Wizara ya Elimu na Mafunzo ya Ufundi, Katibu Mkuu Wizara ya Kazi, Katibu Tawala Mkoa wa Iringa, Kagera, Mwanza, Morogoro, Geita, Kilimanjaro, Lindi, Tabora na Katavi, Mkurugenzi Halmashauri ya Jiji Mwanza, Mkurugenzi Manispaa ya Shinyanga, Mkurugenzi Halmashauri ya Wilaya Kyela, Biharamulo, Bukoba, Songea, Mbinga, Tunduru, Busega, Meatu, Ruangwa, Nachingwea, Same, Urambo, Chamwino na Nanyumbu. · Kuhakikisha kwamba mali yoyote ya ofisi inayotolewa langoni (nje ya ofisi) ina hati ya idhini. · Kuhahikisha kuwa mali yote inayoingizwa langoni inazo hati za uhalali wake. · Kulinda usalama wa majengo, ofisi na mali za ofisi mchana na usiku. · Kuhakikisha kwamba milango na madirisha yote yamefungwa ipasavyo mwisho wa saa za kazi. · Kuhakikisha kwamba wageni wote wanaoingia katika eneo la ofisi wana idhini ya kufanya hivyo. · Kupambana na majanga yoyote yatakayotokea katika sehemu ya kazi kama vile, moto, mafuriko n.k na kutoa taarifa katika vyombo vinavyohusika kama vile, moto, mafuriko n.k na kutoa taarifa katika vyombo vinavyohusika. · Kutoa ushauri wa jinsi ya kuboresha huduma ya ulinzi mahali pa kazi. · Kwa kuzingatia viwango vya Serikali ngazi ya mshahara TGOS.A kwa mwezi. Mkuu Wizara ya Mambo ya Nje na Ushirikiano wa Kimataifa, Katibu Mkuu Wizara ya Elimu na Mafunzo ya Ufundi, na Katibu Mkuu Wizara ya Mamba ya Ndani ya Nchi, Katibu Tawala Mkoa wa Mwanza, Katibu Tawala Mkoa wa Geita, Katibu Tawala Mkoa wa Pwani, Katibu Tawala Mkoa wa Mara, Katibu Tawala Mkoa wa Lindi, Katibu Tawala Mkoa wa Manyara, Katibu Tawala Mkoa wa Dar es Salaam, Mkurugenzi Jiji la Mwanza, Mkurugenzi Halmashauri Manispaa ya Singida na Mkurugenzi Halmashauri Wilaya Biharamulo, Namtumbo, Sengerema, Kilosa, Rorya, Ruangwa, Mbulu, Chamwino, Pangani na Nanyumbu. · Kutunza na kuandika daftari la safari “Log-book” kwa safari zote. Kuajiriwa wenye Cheti cha Mtihani wa Kidato cha IV, Wenye Leseni daraja la “C” ya uendeshaji pamoja na uzoefu wa kuendesha magari kwa muda usiopungua miaka mitatu bila kusababisha ajali na wenye Cheti cha Majaribio ya ufundi Daraja la II. 35.0 MSAIDIZI WA OFISI (OFFICE ASSISTANT) – NAFASI 30. Nafasi hizi ni kwa ajili ya Katibu Mkuu Wizara ya Fedha, Katibu Mkuu Wizara ya Viwanda na Biashra, Katibu Mkuu Wizara ya Mambo ya Ndani ya Nchi, Katibu Tawala Mkoa wa Geita, Manyara na Lindi, Mkurugenzi Halmashauri ya Wilaya Kyera, Bukoba, Songea, Mbinga, Tunduma, Busega, Singida, Nachingwea, Monduli na Ngorongoro. · Kufanya usafi wa ofisi na mazingira ya nje na ndani ikiwa ni pamoja na kufagia, kufuta vumbi, kupiga deki, kukata majani, kupalilia bustani, kumwagilia maji bustani, kupanda maua au miti na kusafisha vyoo. · Kuchukua na kupeleka majalada na hati nyingine kwa maofsa waoaohusika na kuyarudisha sehemu zinazohusika. · Kusambaza barua za Ofisi kama jinsi atakavyoelekezwa. · Kutayarisha chai ya ofisi. · Kupeleka mfuko wa posta na kuchukua barua kutoka Posta. · Kuhakikisha kwamba vifaa vya ofisi vinaweka sehemu zinazostahili. · Kufungua Milango na Madirisha ya Ofisi wakati wa Asubuhi na Jioni kuyafunga baada ya Saa za Kazi. · Kudurufu barua au machapisho kwenye mashine za kudurufia. · Kuweka katika majalada nakala za barua zilizochapwa katika ofisi walizomo. · Kutunza vifaa vya ofisi na kutoa ripoti kila vinapoharibika. · Kuajiriwa wahitimu wa kidato cha nne waliofaulu vizuri katika masomo ya Kiingereza, Kiswahili na Hisabati. 36.0 AFISA KUMBUKUMBU DARAJA LA II (RECORDS OFFICER GRADE II) – NAFASI 1. Nafasi hii ni kwa ajili ya Katibu Ofisi ya Rais Maadili ya Viongozi. · Kudhibiti mifumo ya kumbukumbu, kutunza, na kusimamia matumizi ya kumbukumbu. · Kutambua na kutafuta kumbukumbu katika masjala. · Kudhibiti mfumo wa kumbukumbu zinazozalishwa na kompyuta, kutunza na kusimamia matumizi yake. · Kuajiriwa mwenye Shahada ya Kwanza katika fani ya Utunzaji na Uhifadhi wa Kumbukumbu (Records management & Archieves), Upimaji na Ramani na nyingine zinazolingana nayo kutoka katika Vyuo Vikuu vinavyotambuliwa na Serikali. Aidha wawe na ujuzi wa kutumia kompyuta. · Kwa kuzingatia ngazi za mishahara ya Serikali TGS D kwa mwezi. 37.0 MWENYEKITI WA MABARAZA YA ARDHI NA NYUMBA YA WILAYA(CHAIRPERSON) – NAFASI 5. Nafasi hizi ni kwa ajili ya Katibu Mkuu Wizara ya Ardhi Nyumba na Makazi. · Kufanya marejeo kwa mashauri yaliyosikilizwa na mabaraza ya Kata. · Kusimamia utekelezaji wa maamuzi ya Baraza la Ardhi na Nyumba la wilaya na Mabaraza ya Kata katika eneo husika. · Kwa kuzingatia viwango vya Serikali yaani ngazi ya Mshahara TGS.J kwa mwezi. 38.0 AFISA MTENDAJI WA KATA DARAJA LA III (WARD EXECUTIVE OFFICER GRADE III) – NAFASI 10. Nafasi hizi ni kwaajili ya Mkurugenzi Halmashauri ya Wilaya Bukoba, Mbinga, Tunduru, Msalala, Mpanda, Pangani na Nanyumbu. · Atakuwa Mhamasishaji mkuu wa Umma katika mikakati mbalimbali ya uzalishaji, mali, kuondoa njaa na Umasikini. · Atakuwa ni Katibu wa kamati ya maendeleo ya kata. · Ataratibu na kusimamia upangaji wa shughuli za maendeleo ya kata, vijiji na vitongoji. · Atatafsiri sera na kusimamia utekelezaji wa sheria ndogondogo katika Kata yake.Atamsaidia Mkurugenzi Kuratibuna kusimamia shughuli za Uchaguzi katika Kata. · Kumsaidia na kumwakilisha Mkurugenzi katika kusimamia maendeleo ya eneo lake. · Kusimamia utendaji kazi wa wataalamu na watendaji wengine katika ngazi ya Kata. · Kuratibu na kuandaa taarifa za utekelezaji na kuziwasilisha kwa mkurugenzi na nakala kwa Katibu Tarafa. · Atakuwa mwenyekiti katika vikao vya vinavyowahusisha wataalamu na watendaji wa vjiji, na NGO’S katika kata yake. · Atakuwa Msimamizi na mratibu wa takwimu zote zinazokusanywa katika vijiji, vitongoji, na kata yake. · Kuajiriwa waliohitimu kidato cha nne au sita na kuhudhuria mafunzo ya Stashahada yenye mwelekeo wa Sayansi ya Jamii (Social Sciences) Utawala, (Public Administration and Local Gorvernment), Stashahada ya Sheria au Sifa nyingine inayolingana na hizo kutoka Chuo chochote kinachotambuliwa na Serikali. · Kwa kuzingatia viwango vya Serikali ngazi ya Mshahara TGS C kwa mwezi. 39.0 AFISA MTENDAJI WA KIJIJI DARAJA LA II (VILLAGE EXECUTIVE OFFICER GRADE II) – NAFASI 6. Nafasi hizi ni kwaajili ya Mkurugenzi Halmashauri ya Wilaya ya Namtumbo, Maswa na Mtwara. · Atakuwa Mtendaji na Mshauri Mkuu wa Serikali ya Kijiji na Kamati zake katika Mipango ya Maendeleo ya kijamii na Utekelezaji wa Mipango ya Maendeleo. · Atakuwa Mlinzi wa Amani na Msimamizi wa Utawala Bora katika Kijiji. · Atakuwa Katibu wa Kamati ya Halmashauri ya Kijiji. · Atatafsiri Sera, ataratibu na kusimamia utekelezaji wa Sheria ndogondogo za Halmashauri ya Kijiji. · Ataratibu na kuandaa taarifa ya utekelezaji wa kazi katika eneo lake na kuziwasilisha kwenye Halimashauri ya Kijiji na baadae kwenye kata . · Ataongoza vikao vya maendeleo ya Kijiji vitavyowahusisha wananchi na wataalamu waliopo kwenye eneo lake. · Atahamasisha wananchi katika kampeni za kuondoa njaa, umasikini, na kuongeza uzalishaji mali. · Atasimamia matumizi bora ya Nguvu kazi. · Atakuwa Kiongozi wa Wakuu wa Vitengo vya Kitaalamu Katika Kijiji. · Atasimamia ukusanyaji wa kumbukumbu za walipa kodi, wataalamu mbalimbali na NGO waliopo katika kijiji. · Kuajiriwa wenye elimu ya kidato cha IV na VI waliohitimu Stashahada ya kawaida katika fani yoyote yenye mwelekeo wa Sayansi ya Jamii (Social Sciences) Utawala, (Public Administration and Local Gorvernment), Stashahada ya Sheria au Sifa nyingine inayolingana na hizo kutoka Chuo chochote kinachotambuliwa na Serikali. Kwa kuzingatia viwango vya Serikali ngazi ya Mshahara TGS C kwa mwezi. 40.0 AFISA MTENDAJI WA KIJIJI DARAJA LA III (VILLAGE EXECUTIVE OFFICER GRADE III) – NAFASI 232. Nafasi hizi ni kwaajili ya Mkurugunzi Halmashauri ya Wilaya Rungwe, Tunduru, Mbeya, Muleba, Mbinga, Msalala, Nachingwea, Chamwino, Nanyumbu, Sengerema, Shinyanga, Kishapu, Mkuranga, Ngorongoro, Simanjiro, Mpanda, Mtwara na Tandahimba. · Ataratibu na kuandaa taarifa ya utekelezaji wa kazi katika eneo lake na kuziwasilisha kwenye Halimashauri ya Kijiji na baadae kwenye kata. Kuajiriwa wenye Elimu ya Kidato cha Nne au cha sita waliohitimu Astashahada (Certificate) katika Fani yoyote yenye mwelekeo wa Sayansi ya Jamii (Social Sciences) Utawala, (Public Administration and Local Gorvernment), Astashahada ya Sheria au Sifa nyingine inayolingana na hizo kutoka Chuo chochote kinachotambuliwa na Serikali. Kwa kuzingatia viwango vya Serikali yaani ngazi ya Mshahara TGS B kwa mwezi. 41.0 AFISA MTENDAJI MTAA DARAJA LA III (MTAA EXECUTIVE OFFICER GRADE III) – NAFASI 3. Nafasi hizi ni kwaajili ya Mkurugenzi Halmashauri Manispaa Kigoma/Ujiji. · Atakuwa Mtendaji na Mshauri Mkuu wa Serikali ya Mtaa na Kamati zake katika Mipango ya Maendeleo ya kijamii na Utekelezaji wa Mipango ya Maendeleo. · Atakuwa Katibu wa Kamati ya Halmashauri ya Mtaa. · Ataratibu na kuandaa taarifa ya utekelezaji wa kazi katika eneo lake na kuziwasilisha kwenye Halimashauri ya Mtaa na baadae kwenye Kata. · Ataongoza vikao vya maendeleo ya Mtaa vitavyowahusisha wananchi na wataalamu waliopo kwenye eneo lake. · Atakuwa Kiongozi wa Wakuu wa Vitengo vya Kitaalamu Katika Mtaa. · Atasimamia ukusanyaji wa kumbukumbu za walipa kodi, wataalamu mbalimbali na NGO waliopo katika Mtaa. · Kuajiriwa wenye Elimu ya Kidato cha Nne au cha sita waliohitimu Astashahada (Certificate) katika Fani yoyote yenye mwelekeo wa Sayansi ya Jamii (Social Sciences) Utawala, (Public Administration and Local Gorvernment), Atashahada ya Sheria au Sifa nyingine inayolingana na hizo kutoka Chuo chochote kinachotambuliwa na Serikali. Kwa kuzingatia viwango vya Serikali ngazi ya Mshahara TGS B kwa mwezi. Nafasi hizi ni kwa ajili ya Halmashauri ya Wilaya ya Rungwe, Chunya na Halmashauri ya Manispaa ya Shinyanga. · Kukusanya taarifa na takwimu za lishe kutoka kwa wadau na makundi mbalimbali na kutoa ushauri kuhusu lishe bora katika ngazi ya wilaya. · Kuchambua takwimu za lishe na kuandaa taarifa ya watoto na makundi mengine yenye lishe duni. · Kushiriki katika kuandaa mipango na bajeti ya lishe katika ngazi ya wialaya. · Kutoa taarifa za mara kwa mara za hali ya lishe katika ngazi ya wilaya. Kufanya kazi nyingine atakazopangiwa na mkuu wake wa kazi zinazohusiana na elimu, uzoefu na ujuzi wake. Kuajriwa wenye Shahada ya kwanza ya Lishe, Sayansi Kimu na Lishe au Sayansi na Chakula na Teknolojia ya Chakula (BSc – Nutrition, Home Economics and Nutrition, Food Science and Technology Food Science) au Stashahada ya juu ya Lishe (Higher Diploma in Nutrition) kutoka chuo kinachotambuliwa na Serikali. Kwa kuzingatia Ngazi za mishahara ya Serikali TGS D kwa mwezi. Nafasi hizi ni kwa ajili ya, Katibu Mkuu Wizara ya Kilimo Chakula na Ushirika, Halmashauri ya Wilaya ya Pangani na Kishapu Halamshauri za Manispaa ya Morogoro na Songea na Halmashauri ya Wilaya ya Kishapu. · Kufanya ukaguzi wa ubora wa magari ya Serikali na kurekebisha ipasavyo. · Kufanya upimaji wa Mitambo na Umeme kufuatana na Maelekezo ya Mhandisi. · Kusimamia jinsi ya kufunga mashine mpya zinazowekwa kwenye karakana za ufundi na Umeme. · Kuandaa Takwimu za Mahitaji kutokana na bidhaa zinazowasilishwa hapa nchini. · Kuandaa takwimu zinazoonyesha tofauti kati ya mahitaji na uzalishaji. · Kukusanya na kuunganisha (compile) nyaraka za Sera za Biashara na Sheria za Biashara. · Kuandaa sifa ya Biashara na huduma ambazo zinauzwa nchi za nje kwa kila sekta kama vile Kilimo, Madini, Nguo na kadhalika na kuandaa sifa za kampuni zinazouza nje. · Kukusanya takwimu za biashara kutoka kila wilaya, kuzichambua na kutathmini mwenendo wa biashara kwa kila wilaya. Kuajiriwa wenye Stashahada ya Biashara kutoka vyuo vinavyotambuliwa na Serikali au sifa inayo lingana na hiyo. Kuajiriwa wahitimu wa Kidato cha Nne au cha Sita waliofaulu mtihani wa Uhazili Hatua ya II kutoka Chuo cha Watumishi wa Umma na ujuzi wa Kompyuta Hatua ya I na II kutoka Vyuo vinavyotambuliwa na Serikali. Nafasi hii ni kwa ajili ya TEMESA. · Kusimamia ufungaji wa mitambo katika vyombo vya uvuvi. · Kushauri juu ya aina za vyombo/mitambo inayoendeleza uvuvi. Kuajiriwa wenye Shahada/Stashahada ya Juu ya Uhandisi kutoka Vyuo Vikuu vinavyotambuliwa na Serikali katika mojwapo ya fani ya Uhandisi wa Baharini. · Kuendesha mitambo chini ya usimaizi wa dereva mitambo mwenye uzoefu. Kuajiriwa wenye cheti cha Kidato cha IV ambao wana leseni Daraja la “G” ya kuendesha mitambo na ujuzi wa kutunza vyombo mbalimbali vya mitambo hiyo, wenye uzoefu wa kuendesha mitambo kwa muda usiopungua saa mia tatu (300) au miezi mitatu (3) bila kusababisha ajali. Kwa kuzingatia viwango vya Serikali yaani ngazi ya Mshahara TGOS. A kwa mwezi. · Kufunga na kufungua kamba za kivuko. · Kuchunga usalama nwa abiria na magari yaliyomo ndani ya kivuko. · Kupanga abiria au magari kwenye kivuko. · Kuendesha na kuongoza kivuko. · Kutunza daftari za safari ya kivuko. · Kuhakikisha kwamba injini za kivuko zipo katika hali nzuri ya kufanya kazi. · Kuangalia mafuta na vyombo vingine vya kufanyia kazi. Kuajiriwa waliohitimu Mtihani wa Kidato cha IV, wenye Ujuzi wa kuendesha na kutunza Mashua/Kivuko uliothibitishwa na Chuo cha Dar es Salaam Marine Institute au Chuo kingine chochote kinachotambuliwa na Serikali kwa muda usiopungua miaka miwili; na waliofuzu mafunzo ya miezi sita ya uokoaji wa maisha majini, kuogelea na kupanga watu na magari kwenye mashua/vivuko. Kwa kuzingatia viwango vya Serikali yaani ngazi ya Mshahara TGOS.A kwa mwezi. · Awe amesajiliwa na Baraza la Taifa la Elimu ya Vyuo vya Ufundi (NACTE) mwenye uzoefu wa kazi wa miaka mitatu (3). · Awe na Shahada ya kwanza katika fani ya Sanaa za Ufundi na Sanaa za Maonyesho (Muziki) kutoka vyuo vinavyotambuliwa na Serikali mwenye uzoefu wa kazi wa miaka mitatu (3). · Kazi atakazopangiwa na mkuu wake wa kazi. · Kuajiriwa waliomaliza kidato cha IV wenye Cheti cha Majaribio ya Ufundi Hatua ya II kutoka chuocha ufundi katika mojawapo ya fani za ufundi Bomba. · Kufanya marekebisho madogo madogo ya umeme katika ofisi na nyumba za serikali. · Kuajiriwa waliomaliza kidato cha IV wenye Cheti cha Majaribio ya Ufundi Hatua ya II kutoka chuocha ufundi katika mojawapo ya fani za ufundi umeme. · Kutoa ushauri kwa wanachuo katika kazi maalum (projects). · Kusimamia na kuongoza wanachuo katika kazi za darasani na nje. · Kutoa ushauri wa kiufundi na kitaalam. · Kuendesha tafiti na ushauri. · Kuandaa taarifa za tathmini na mapendekezo ya mitaala ya masomo. · Kuajiriwa mwenye Shahada/Stashahada ya Juu katika mojawapo ya fani za Mipangomiji (Town Planing), Usimamizi na Uthamini wa Ardhi (Land Management and Valuation) na Teknolojia ya Uchapaji (Printing Technology) kutoka Chuo Kikuu cha Ardhi au Vyuo Vikuu vingine vinavyotambuliwa na Serikali. · Kuandaa mtiririko (lesson plan) wa somo. · Kufanya kazi nyingine kulingana na kiwango cha elimu na fani yake kadri atakavyopangiwa na mkuu wake wa kazi. Kuajiriwa wahitimu wa kidato cha nne (IV)au sita (VI) waliofuzu mafunzo ya Stashahada ya Uhandisi wa Uchenjuaji Madini,Jiolojia au Uhandisi Migodi kutoka Chuo kinachotambuliwa na Serikali. · Kumsaidia kuhamasisha na kusimamia utekelezaji wa mipango ya matumizi ya ardhi ya vijiji na kata. · Kumsaidia Afisa Mipangomiji katika kuandaa mipango ya matumizi ya ardhi ya vijiji na kata. Kuajiriwa wahitimu wa kidato cha nne au cha sita wenye cheti cha mafunzo ya ufundi ya miaka miwili katika fani ya mipangomiji kutoka kwenye vyuo vinavyotambuliwa na serikali. Kuajiriwa wahitimu wa kidato cha nne au cha sita wenye cheti cha mafunzo ya ufundi ya miaka miwili katika fani ya Urasimu Ramani (Cartography) kutoka kwenye vyovinavyotambuliwa na serikali. · Kupanya maandalizi yanayohusu upigaji wa ramani na picha za anga. Kuajiriwa wahitimu wa kidato cha nne au cha sita wenye cheti cha mafunzo ya ufundi ya miaka miwili katika fani ya Uchapaji Ramani (photolithography) kutoka kwenye vyuo vinavyotambuliwa na serikali. Nafasi hizi ni kwaajili ya Katibu Mkuu Wizara ya Elimu na Mafunzo ya Ufundi na Halmashauri ya Wilaya ya Mpanda. · Kufanya mchanganuo (analysis) kikemikali ili kuthibitisha/kutathmini vielelezo (samples) vinavyohusika kwenye maabara. Kuajiriwa wahitimu wa kidato cha sita (vi) waliofuzu mojawapo ya mafunzo ya miaka miwili (2) ya stashahada (Diploma) ya ufundi sanifu wa Maabara au sifa zinazolingana na hizo kutoka katika vyuo vinavyotambuliwa na Serikali. · Kuajiriwa waliomaliza kidato cha IV wenye cheti cha Majaribio ya ufundi hatua ya II kutoka chuo cha ufundi katika mojawapo ya fani ya ufundi wa Ujenzi. Nafasi hizi ni kwa ajili ya Mkurugenzi Halmashauri ya Wilaya ya Pangani. · Wenye Stashahada ya Kawaida katika fani za ufundi bomba kutoka Chuo kinachotambuliwa na Serikali. Vyuo vya Maendeleo ya Wananchi. Ujenzi,Ushonaji, Ufundi na Umeme, Kompyuta, Ufundi Magari, Uchomeleaji, Useremala na Chakula na Lishe (Food and Nutrition). Kutoka katika vyuo vinavyo tambuliwa na Serikali. Baraza la Kiswahili la Taifa (BAKITA) ni Taasisi ya Serikali iliyoanzishwa kwa Sheria ya Bunge Na 27 ya mwaka 1967. · Kuratibu kazi ya kujibu hoja za ukaguzi. · Kuandaa hesabu za mwisho wa mwaka wa fedha. · Kuandaa na kuoanisha taarifa za mwezi za Benki. · Kuandaa taarifa za ukaguzi wa fedha za mwaka. · Kusimamia, kuthibitisha na kuidhinisha malipo. · Kufanya kazi zingine kama atakavyoagizwa na msimamizi wake wa kazi. · Kuajiriwa mwenye Shahada ya Uzamili ya Uhasibu/ Biashara yenye mwelekeo wa Uhasibu kutoka Chuo/Taasisi yoyote inayotambuliwa na Serikali. · Awe na CPA (T). · Mwenye uwezo wa kutumia mifumo ya kompyuta ya kiuhasibu. · Awe na uzoefu wa kazi usiopungua miaka nane (8) mfululizo katika fani ya uhasibu. MASHARITI YA JUMLA KWA KAZI ZOTE. i. Waombaji wote wawe ni Raia wa Tanzania. ii. Waombaji wote waambatishe cheti cha kuzaliwa. iii. Waombaji ambao tayari ni watumishi wa Umma na wamejipatia sifa za kuingilia katika kada tofauti na walizonazo, wapitishe barua zao za maombi ya nafasi za kazi kwa waajiri wao na Waajiri wajiridhishe ipasavyo. iv. Nafasi ya kazi inayoombwa iandikwe katika kichwa cha habari cha barua na juu ya bahasha, kutozingatiwa hili kutasababisha maombi ya kazi kuwa batili. vi. Maombi yote yaambatane na vyeti vya taaluma, maelezo, nakala za vyeti vya kidato cha nne na kidato cha sita kwawale waliofikia kiwango hicho na vyeti vya kuhitimu mafunzo mbalimbali kwa kuzingatia sifa za kazi husika. Viambatanisho hivyo vibanwe sawa sawa kuondoa uwezekano wa kudondoka kupotea. – Picha moja “Passport size” ya hivi karibuni iandikwe jina kwa nyuma. viii. “Transcripts”, “Testmonials”, “Provisional Results”, “Statement of results”, hati matokeo za kidato cha nne na sita (FORM IV AND FORM VI RESULTS SLIPS) HAVITAKUBALIWA. ix. Waombaji wawe na umri usiozidi miaka 45.
x. Waombaji waliostaafishwa katika Utumishi wa Umma hawaruhusiwi kuomba isipokuwa kama wanakibali cha Katibu Mkuu Kiongozi. xi. Waombaji kazi ambao tayari ni waajiriwa katika nafasi za kuingilia walioko katika utumishi wa umma wasiombe na wanatakiwa kuzingatia maelekezo yaliyo katika Waraka Na CAC. 45/257/01/D/140 wa tarehe 30 Novemba 2010.
xi. Uwasilishaji wa taarifa na sifa za kugushi wahusika watachukuliwa hatua za kisheria. xii. WAAJIRI WOTE WALIOPO NJE YA DAR ES SALAAM WANAOMBWA KUSAMBAZA MATANGAZO HAYA KWENYE MBAO ZA MATANGAZO NA MAENEO MENGINE. xiv. Aidha, uwasilishaji wa barua kwa mkono katika ofisi za Sekretarieti ya ajira HAURUHUSIWI. xv. Maombi yanaweza kuandikwa kwa Lugha ya Kiswahili au Kiingereza na yatumwe kupitia posta kwa anuani ifuatayo. BRELA is a semi-autonomous Executive Agency under the Ministry of Industry and Trade (MIT). It was established under the Government Executive Agency Act No. 30 of 1997, and formally launched on the 3rd December, 1999. The main responsibility of the Agency is to ensure that businesses operate in accordance with the laid down regulations and sound commercial principles. Its key functions are registration of companies, both local and foreign; registration of Business Names; registration of Trade and Service Marks; Granting of patents and issuing of industrial licensing. To direct and supervise the administration of all· legislation administered by BRELA such as the Companies Act (Cap 212), the Business Names (Registrations) Act (Cap 213), the Trade and Service Marks Act (Cap 326) RE 2002, Patents Act (Cap 217) RE 2002, the National Industries (Licensing and Registration) Act No. 10 of (1967) and the Business Activities Registration Act (BARA) of 2007. To planning, organize, co-coordinate, monitor, control and· evaluate the implementation of BRELA policies and operations in order to achieve the agency’s strategic goals and objectives. To oversee the preparation and review of BRELA budget and· to ensure its effective implementation control as approved by the Ministerial Advisory Board. To be responsible for Coordination and preparation of· Strategic and Business Plans and submit to the Ministerial Advisory Board (MAB). To keep the ministerial Advisory Board being regularly· informed any important matter that has a bearing on the functions of the agency. As an Accounting Officer to be responsible for implementation· of all agency’s policies. Directing and ensuring that annual reports and statement· of accounts are submitted to the Ministerial Advisory Board. To provide legal advice to the Ministry and Government in· general. To represent the Government in various International,· Regional and bilateral meetings. To preside over the opposition proceedings on Trade and· Service Marks and Patents. To perform any other related duties assigned from time to· time by the Government and any other state Organs. LLB and Masters Degree in Business Administration or· equivalent qualification with working experience of not less than 12 years in the relevant field of which at least five (5) years in Managerial position. In addition, she/he is required to have strong conceptual and strategic ability and extensive administrative and supervisory experience. Strong human resource management skills and preferred· strong background in organisational change, strategic planning, management and provide strong leadership in a changing environment. In accordance with section 9A (1) of the Executive Agency Act No. 30 of 1997(RE 2009). “The Chief Executive officer shall hold office for a period of five (5) years or for any other period not exceeding five (5) as may be specified in an instrument of his appointment and shall be eligible for re-appointment”. The Institute of Social Work is one of the institutions of higher learning in Tanzania which was established in 1974 by Act No. 26 of 1973 (as amended by Miscellaneous Act No. 13 of 2002). The Institute is under the Ministry of Health and Social Welfare and is located at Kijitonyama in Dar-es-Salaam. The Institute was established to provide qualified human resources for strengthening social welfare services delivery system in Tanzania. It is accredited with the National Council for Technical Education (NACTE) as an institute of higher learning to conduct training programmes in the fields of social work, industrial relations and human resources management. A registered professional with at least ten (10) years· preferably in Research or Consultancy with Doctoral degree in relevant field; five (5) consultancy/research reports of the academic and professional appreciable depth. A registered professional with at least twenty (20) years· working experience preferably in research/consultancy with Master degree in relevant field; ten (10) consultancy/research reports of the academic and professional appreciable depth. Supervise and maintain acceptable standards of discipline· of staff accordingly. Facilitate learning (by teaching) of academic programmes· in the institute. A registered professional with at least ten years· preferably in Research or Consultancy with Doctoral degree in relevant field; five (5) consultancy/research reports of the academic and professional appreciable depth. Director of Finance and Administration the institute shall hold office for a term of four (4) years and may be re-appointed consecutively for one more term of four years. Deadline : 6th October 2012. Tangazo La Kazi Ya Muda Katika Mradi Wa Sensa Ya Watu Na Makazi Ya Mwaka 2012. Serikali ya Jamhuri ya Muungano wa Tanzania, inakamilisha maandalizi ya kufanya Sensa ya Watu na Makazi ambayo itafanyika tarehe 26 Agosti, 2012. Ili kufanikisha Sensa hii, Serikali inatangaza nafasi za kazi za muda za MAKARANI NA MAKARANI WAANDAMIZI WA SENSA kwa Watanzania wenye nia na sifa zinazostahili kama ilivyoainishwa katika tangazo hili. Kazi hii itaanza tarehe 06 Agosti, 2012 na kumalizika tarehe 14 Septemba 2012.